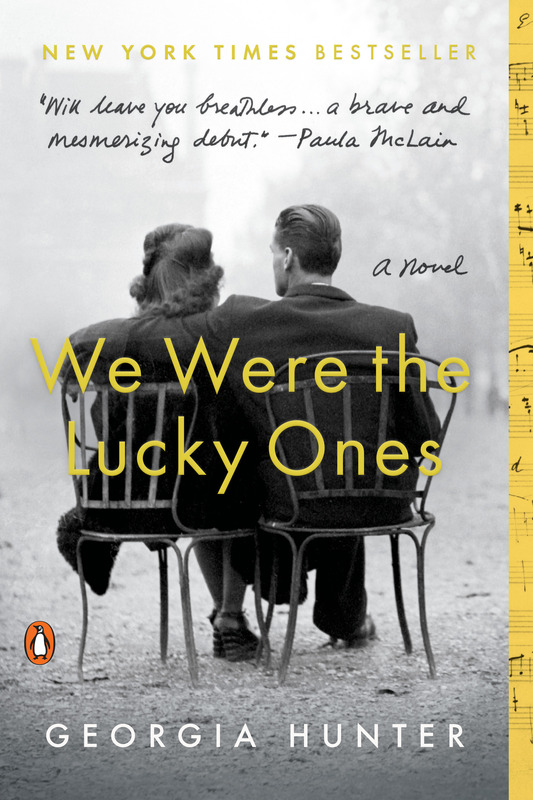 We Were the Lucky Ones is the 2018 Connecticut Book Award winner in the fiction category. The honor was announced at a ceremony on October 14, 2018, at which Okey Ndibe, 2017 winner in non-fiction, gave a moving keynote speech. The Fall edition of Virginia features a story on alumna Georgia Hunter and We Were the Lucky Ones. The article posits that Georgia’s college study of behavioral psychology helped with gathering of oral histories for the book. “She’d learned that people’s actions provide the clearest window into who they are. So instead of asking, ‘What kind of person was your father?’ she’d say, ‘Tell me his favorite joke.’ Or, ‘Tell me what annoyed you about him. '” This approach helped her “collect the compelling details that she could then imagine into conversations among her characters, bringing them to life on the page.” You can read the full article here. A recent HEC-TV interview delves into the historical and personal environments that frame the themes of We Were the Lucky Ones. Music and images are woven throughout the “First Person, One on One” interview, conducted by host Paul Schankman and filmed in St. Louis. While Georgia describes her research findings and the family’s legacy, her grandfather Addy’s music, including his moving ballad, “List,” a pre-war hit in Poland, can be heard in the background. During the Colorado leg of her June 2018 book tour, Georgia was interviewed for KGNU’s Booktalk, where authors reveal the story behind the story. Westword, Denver’s voice in online journalism, featured Georgia’s June 14 author event for We Were the Lucky Ones as one of its “five favorite” literary events of the week. “We Were the Lucky Ones” is a Grand Central Reads selection! Penguin Random House just launched GRAND CENTRAL READS in partnership with Grand Central Terminal. It’s a website that offers visitors to the station free extended excerpts of popular books, including We Were the Lucky Ones. The innovative program was created in celebration of the 40th anniversary of the U.S. Supreme Court ruling that preserved the iconic terminal as a historic landmark (and prohibited the construction of a 53-story office building overhead). Watch for posters in the station and on Metro North trains and platforms, and check out the wonderful selection of books. In an interview for DYI-MFA, a “show that will help you write more, write better, write smarter,” Georgia discusses how to craft suspense, how to draw the line between fiction and non-fiction, and much more. Listen to the conversation here.